Why is there a decline in Math scores? The educational community still has many questions regarding the effects of Problem Based Learning. Research is varied, but it is clear that there continues to be much learned from student engagement levels in the classroom. All parties concerned with education- parents, teachers, administrators- have an interest in students being not only successful in their learning, but that their learning can be applied to life outside of the classroom. According to the National Assessment of Educational Progress (NAEP) data (2015), only 44% of 4th graders perform at the proficient level, and 33% of 8th graders are seen as proficient. What are the causes of the decline in proficiency? The data from NAEP shows that there was an overall slight increase in scores for both grades, but no subgroup had significant growth. While this data is helpful, and can guide educators instruction, Dewitt clarifies, it is important to note “...Educators and students need to get rid of the victim mentality when it comes to data and take back some control” (DeWitt, 2014). In short, the data should not be viewed as a finality, but more importantly as place for teachers to begin looking at ways to improve instruction to meet the needs of the students. 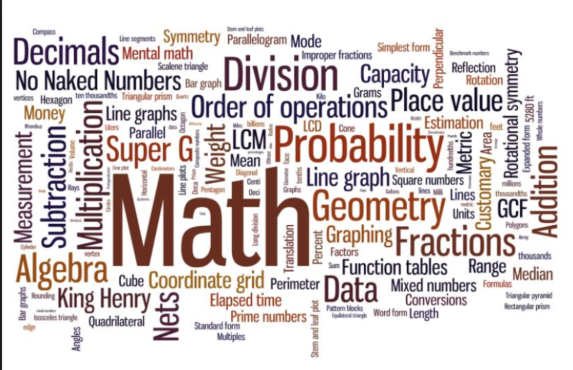 With the adoption of Common Core in 2009, there has been an overall shift in the way mathematics is taught. Educators ask that students now be able to think and write critically as mathematicians as opposed to being able to just memorize abstract formulas. “Mathematical understanding and procedural skill are equally important, and both are accessible using mathematical tasks of sufficient richness (Common Core Mathematical Standards, 2017). Often there are three terms used interchangeably in education referring to the teaching tool of problem based learning. Problem/Project Based Learning, most often occurs in mathematics. Another technique can also be referred to as STEM learning, and which can also be applied to science, has emerged in our district as one of the methods used in instruction to meet those goals. Yeo (2005) explains that there are three main parts in developing PrBL, but that they aren’t necessarily linear. The three main components of design are Purpose, Process and People. The purpose of the of the PBL needs to be strategic, followed by quality communication. The process needs to not only be structured for the learner, but at the appropriate time for optimal learning. The people, or rather the students involved need to be strategically grouped for the facilitator to do their best work. Ultimately, the practice should lead to a lifelong learner, with a growth mindset. Overall, the purpose of the of PrBL needs to be an ongoing collaboration between teachers and students, but administrators must also be in the process of supporting and implementing the design in order to ensure all possible positive outcomes . ​What effect does PRBL have on active learning and engagement in mathematics? This question arises from the data that shows that a majority of sixth graders are not considered proficient. Answers to this question could provide educators with helpful teaching techniques that could improve student understanding. How does technology play a role in learning?